X-Rite’s proprietary multi-angle spectrophotometry technology makes the measurement of special effect paints and coatings fast, easy and consistent, replacing time-intensive laboratory-based tests that require expensive instruments. The result is improved uptime on painting and assembly lines, reduced scrap rates and fast root cause analysis when color problems are discovered. This is especially important in industries where global sourcing requires that all components match at final assembly. 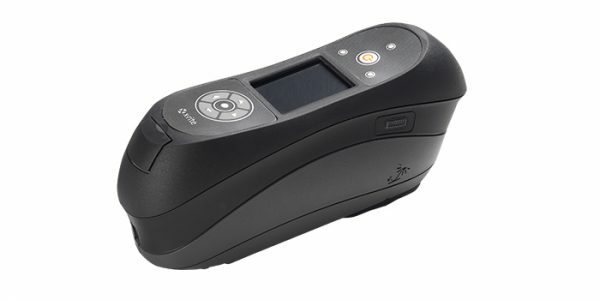 The X-Rite MA94 multi-angle spectrophotometer uses 5 angles to accurately measure special effect paints and coatings, with pressure sensors to ensure the instrument is placed correctly.